Planning a Super Bowl Party in 2018? One of the first tasks to check off your Super Bowl Party planning checklist is invitations. 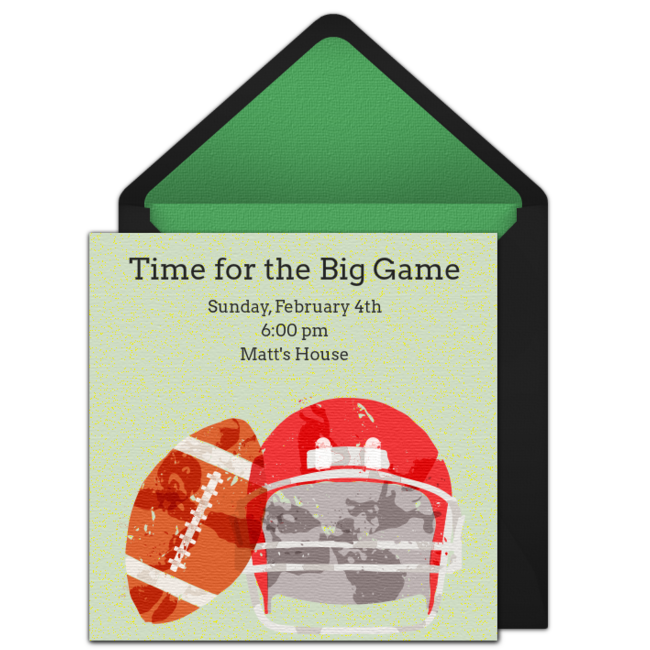 Creative invitations really get your guests ready for the big game! 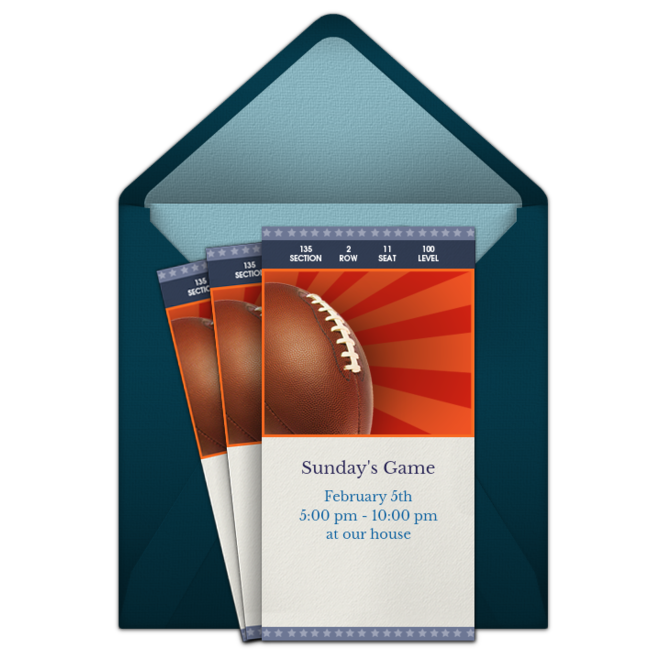 With so many free, printable Super Bowl Party Invitations and Super Bowl Party Flyers available online--the task of creating fun, personal party invitations is quick and easy. 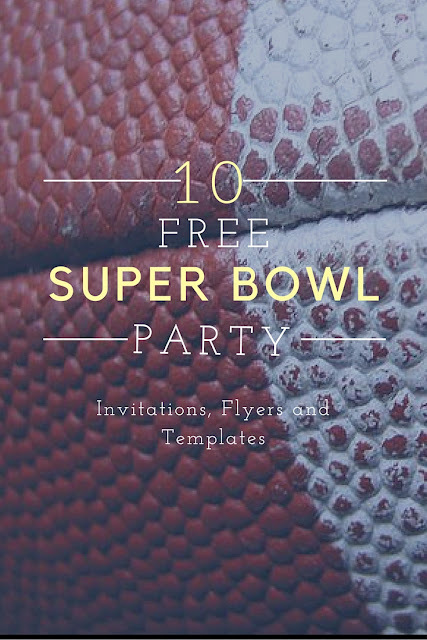 We have found 10 free, printable Super Bowl Party invitations and flyers that we love--and we have updated this post for Super Bowl 2018! I still like the Football Laces Invitation from Evite too! It made my list last year--and stays! I have used Punchbowl.com for party invitations for years now. As with Evite; Punchbowl offers several free Super Bowl Party Invitations. My favorite is this Time for the Big Game party invitation. Simply sign up for a free Punchbowl.com account, customize your card and email it to your guests. I like this Football Ticket Invitation Template the best. Paperless Post has some simple, free invitations as well as some more elaborate ones for your game day party. Pingg.com offers both premium and free Football Party and Super Bowl Party Invitations. Have you already chosen your Super Bowl Party Invitations? This year, I'm using the Football Ticket Invitations from Punchbowl.com. I love planning our Super Bowl Party!